Yes, it’s time for the reveal of another ryn monster. The geisha monster is just too cute! She’s a friendly monster playing dress up for our amusement. I love her button eyes. 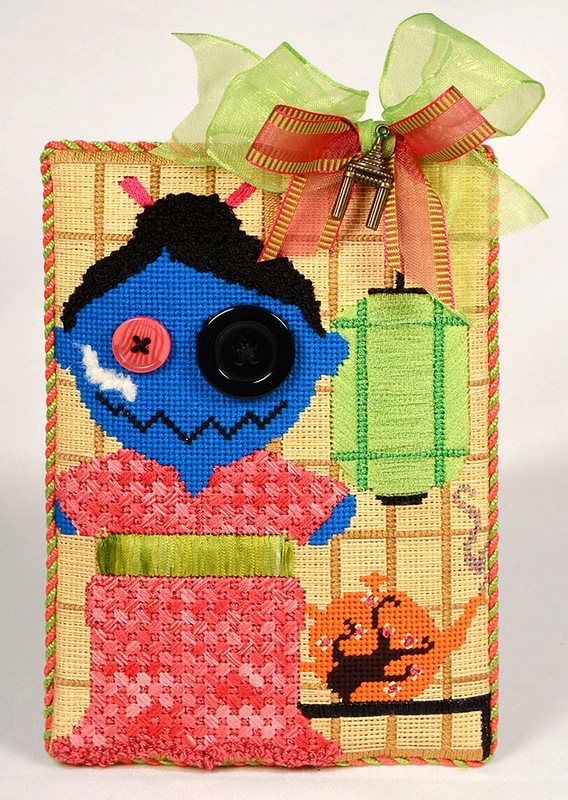 She’s a petite 4.5 x 6″ stitch painted on 18ct and complete with stitch guide! « Previous: The house, the grass, the ghosts, oh my!